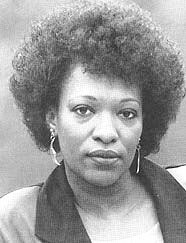 Rita Dove was born in Akron, Ohio, in 1952. Her books of poetry include On the Bus with Rosa Parks (W. W. Norton, 1999), which was named a New York Times Notable Book of the Year and was a finalist for the National Book Critics Circle Award; Mother Love (1995); Selected Poems (1993); Grace Notes (1989); Thomas and Beulah (1986), which won the Pulitzer Prize for Poetry; Museum (1983); and The Yellow House on the Corner (1980). She has also published Fifth Sunday (1985), a book of short stories; Through the Ivory Gate (1992), a novel; and The Darker Face of the Earth (1994), a verse drama; and edited The Best American Poetry 2000. Her many honors include the Academy's Lavan Younger Poets Award, a Mellon Foundation grant, an NAACP Great American Artist award, Fulbright and Guggenheim Foundation fellowships, and grants and fellowships from the National Endowment for the Arts and the National Endowment for the Humanities. She served at Poet Laureate of the United States from 1993 to 1995 and is Commonwealth Professor of English at the University of Virginia. She lives in Charlottesville, Virginia.